The barrel of WTI posts marginal losses ahead of the API report. WTI recorded fresh multi-year peaks around $72.70 earlier today. The API report is due later today ahead of the EIA report due tomorrow. Prices of the West Texas Intermediate are trading with marginal losses on Tuesday, keeping the familiar range above the key $72.00 mark per barrel. Prices of the barrel of the American benchmark for the sweet light crude oil keep the upper end of the range so far on Tuesday, navigating near earlier more than 3-year peaks around $72.70. 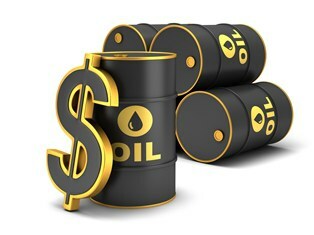 Potential US sanctions against Venezuela – following the re-election of President Maduro - and Iran after the US withdrawal from the nuclear deal have been sustaining the up move in crude oil in past weeks, which gained almost 25% since YTD lows in the $58.20 region seen in mid-February. Later in the week, the API and the EIA will report on US crude oil stockpiles on Tuesday and Wednesday, respectively, ahead of the weekly US oil rig count tracked by driller Baker Hughes, on Friday. At the moment the barrel of WTI is losing 0.28% at $72.33 facing the next down barrier at $71.48 (10-day sma) followed by $70.28 (low May 14) and finally $69.95 (21-day sma). On the flip side, a breakout of $72.67 (2018 high May 22) would open the door to $73.00 (psychological level) and then $77.77 (high Nov.21 2014).